Thaddeus Mark Zaharia was born on November 25, 2015. He passed away unexpectedly on January 19, 2017 from congenital heart defect compilations. Thaddeus, whose name stands for “courageous heart” was born at Mercy Medical Center in Des Moines, IA to Jacob and Marie (Jensen) Zaharia. In the short time Thaddeus was here with us, he made a great impression on all those who met him and many others who never got the chance to meet him. Even though he had many tough days in the hospital, his smile seemed to shine through it all. Even when Thaddeus couldn’t smile, his eyes could tell his story. More often than not, his story was pure joy for life. He was curious about all that was around him, and wanted to interact as much as possible. Thaddeus found relief through a voracious desire for pink mouth swabs, just keep ’em cold, #swablyfe. He easily made many friends at Mercy Children’s Hospital, Des Moines and Children’s Hospital of Wisconsin, Milwaukee. 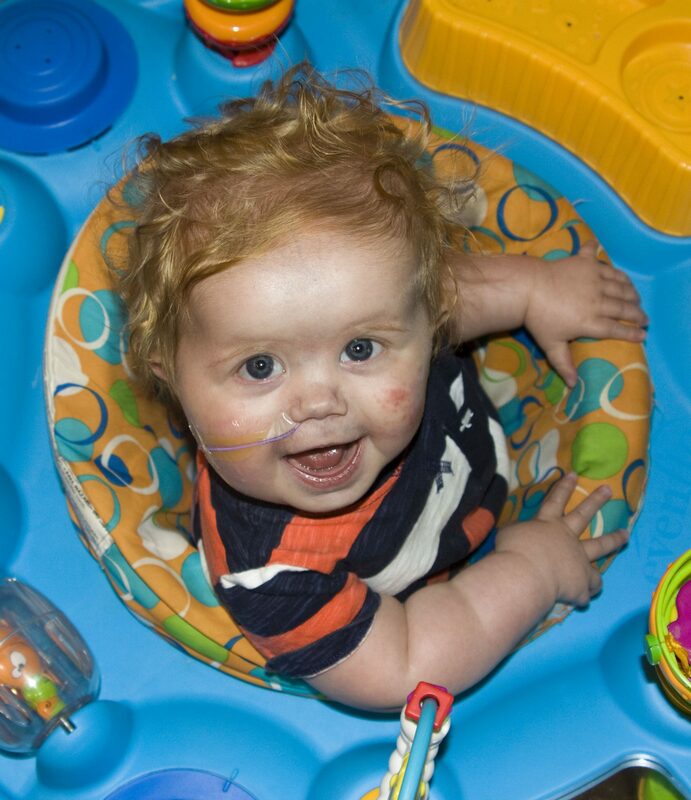 Thaddeus’ good nature and healthy stature made him stand out in the community of “heart babies”. Thaddeus dearly loved his sisters, Naomi and Scarlett, who always saw Thaddeus as himself, “The Best Brother Ever”. They were never afraid no matter the condition he was in. He was loved by his family and friends, and his life will always be cherished. We will always remember and share his life as an inspiration. Thaddeus’ infectious joy for life did not know continental boundaries. In the words of his second cousin, Yvon, “C’est mon vœux le plus cher que cela ne reste pas un traumatisme mais le souvenir d’une aventure pleine d’amour qui s’est terminée trop tôt.” Thaddeus was very loved and will be missed dearly by friends and family around the world. Survivors include his parents, Jacob & Marie Zaharia, siblings, Naomi and Scarlett Zaharia all of Fort Dodge, Iowa, grandparents James & Monique Jensen of Isanti, Minnesota as well as Mark & Joanne Zaharia of Cummings, North Dakota, Great-grandparents Nick and Rita Zaharia of Neche, North Dakota. Visitation Tuesday, January 24, 2017 from 5:00 p.m. to 8:00 p.m.
Funeral Wednesday, January 25, 2017 at 11:00 a.m.
Additional Visitation starting at 10:00 a.m. on Wednesday, January 25th. Burial following Mass, in West Oak Grove Cemetery. After burial, lunch will be served in St. Patrick Social Hall.